Today was my first day of class at the Pensole Footwear Design Academy. It was a day full of information, notes, and processing. Looking up from the front door. After getting into the building a little early, we had some time to look around the space inside. Books lined shelves, huge posters rested against the walls and new desks and chairs were neatly scattered across the space. Shoe samples were all over the place; from Jordans to baseball cleats to retro Adidas runners. On the west wall there was a "trophy" wall with other shoe samples and some beautiful artwork. There was a camera crew filming our every move which took a little while to get used to. After about twenty minutes of looking around and meeting some of the other students we grabbed our seats for our morning lecture. We were greeted by D'Wayne Edwards, the founder of Pensole and he outlined the course from housekeeping to the overall brief. D'Wayne also gave us a quote of the day, book of the day, website of the day, guiding principle of the day, creative process quote of the day, and creative consistency quote of the day. It was definitely a lot to reflect on but very inspirational. After D'Wayne's lecture was done we were introduced to Mrs. Suzette Henri who works closest with the Color and Material Designers (CMD's)– the role that I am in. Mrs. Suzette touched on the different ID parts of products: material, consumer, performance, function, aesthetic, construction, sustainability. After Mrs. Suzette's lecture we were introduced to Matt Rhoades. Matt will be working closely with the brand designers in the program and he currently works for Nike Baseball in equipment. Matt talked about his vast experience in the industry and gave us a lot of inspirational advice. Matt's lecture ran up until lunchtime and we took an hour break. Once we got back to the space D'Wayne split us up into our teams and gave us our project briefs. The other people from my team are from Upstate New York, Arizona, Winnipeg, and England. We definitely have quite diverse backgrounds. The project we were given was a brief from Woolrich. 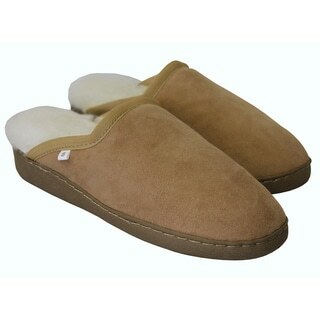 Our project is to redefine the house shoe (slipper). Woolrich wants us to design three different shoes; one for West Elm, one for Ikea, and one for a store of our choice. After our team assignments we were split into our different roles and I went along with the other CMD's. We went with Mrs. Suzette and we got a tour of the Material Lab (MLAB). My MLAB workspace for the next four weeks. After our introduction of the MLAB I caught up with my team who was visiting West Elm for inspiration. We also stopped by several boutique stores to help us decide on a third store to design for.